Product information "neoVI FIRE 2"
nterface allows messages to be sent and received without risk of damage to the PC. • All channels run simultaneously and are timestamped in hardware. • Fully isolated high-speed USB interface allows a PC to safely send and receive messages. possible to run a script to reflash ECUs using data from the microSD card. and drivers for both Windows and Linux are available. the device again based on network activity or the connection of a PC. Does not include Vehicle Spy license. One license required per neoVI device. • J1939-FIRE-CABLE (for use with 9-pin Deutsch J1939 applications). 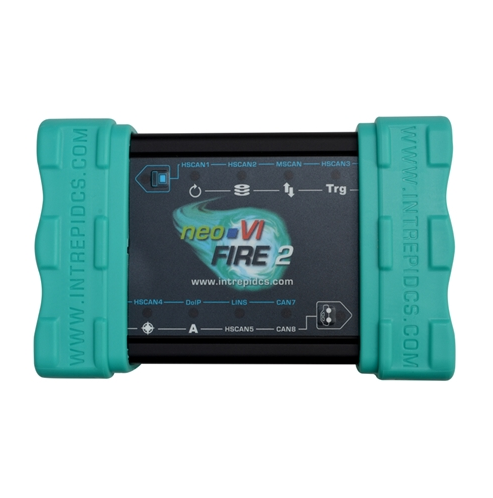 Related links to "neoVI FIRE 2"
Customer evaluation for "neoVI FIRE 2"